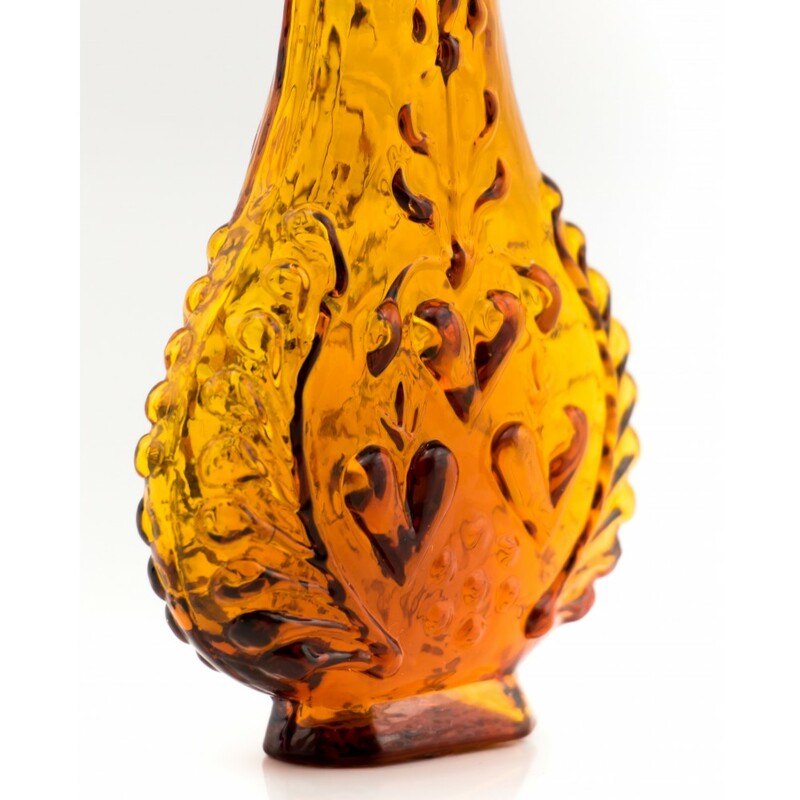 Bernardo Perrotto was an Altare glassmaker who moved to Orléans France. 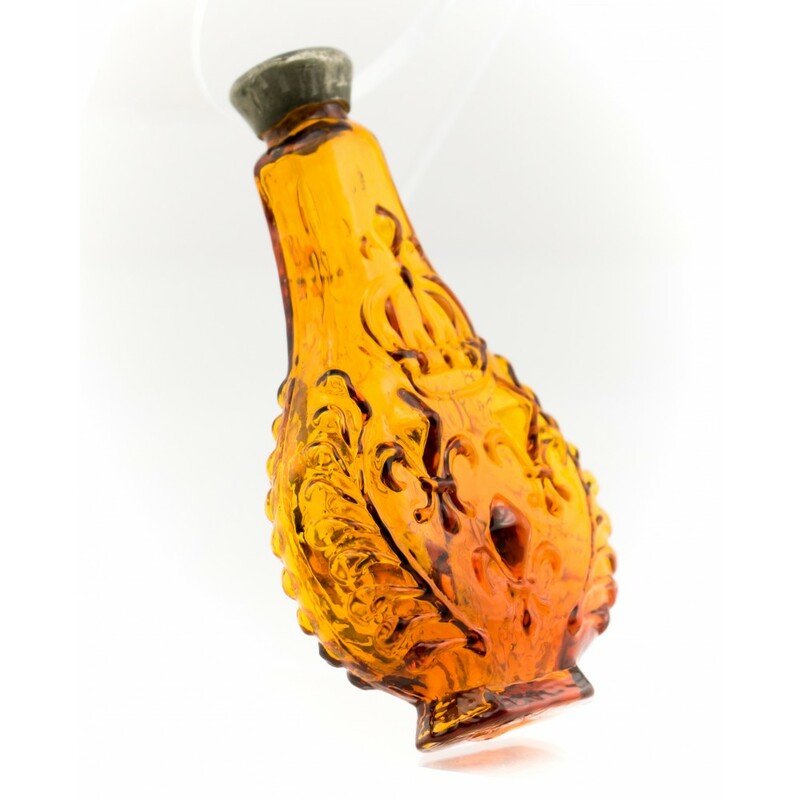 In 1671 he successfully petitioned the Duc d'Orléans for a monopoly on glassmaking. This meant that he was the only glassmaker allowed to operate on the banks of the Loire. 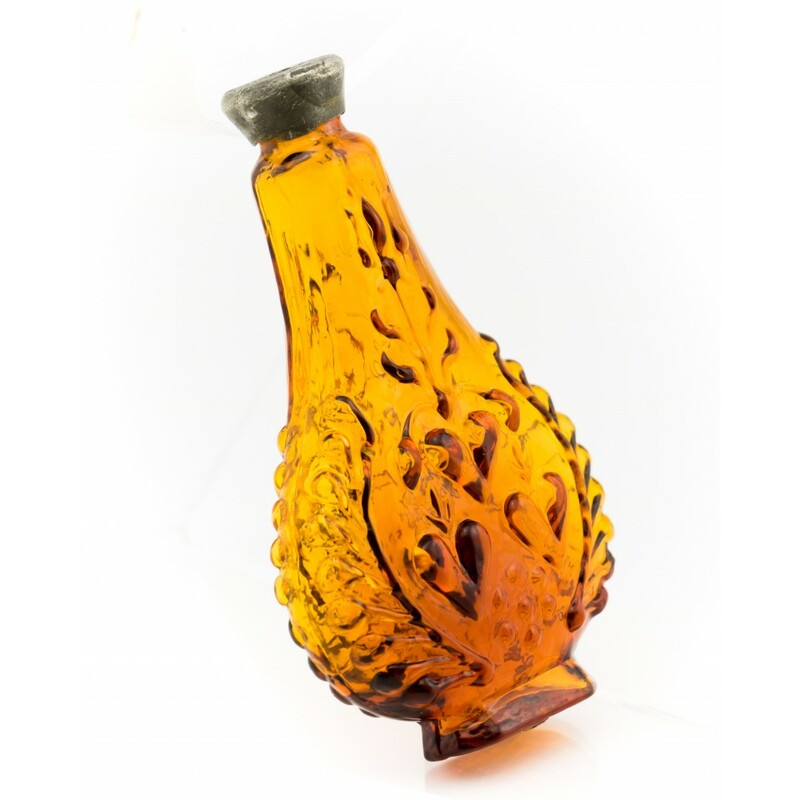 That same year he purchased a retail outlet in Orléans as Bernard Perrot and was ennobled as a "gentilhomme verrier" or gentleman glassmaker. 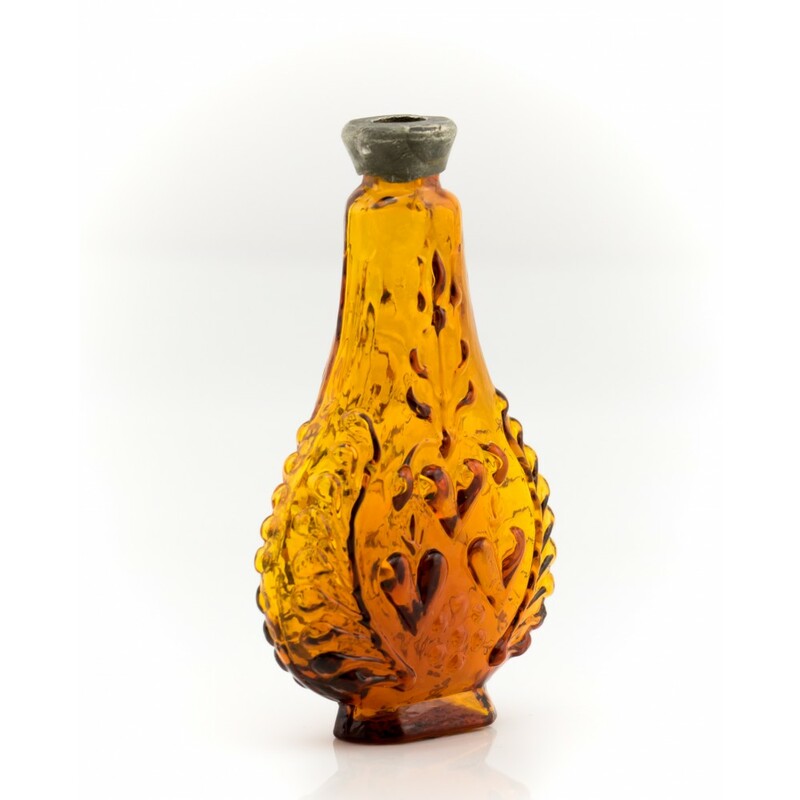 He died childless in 1709 but members of his family continued in the glassmaking trade for around half a century. 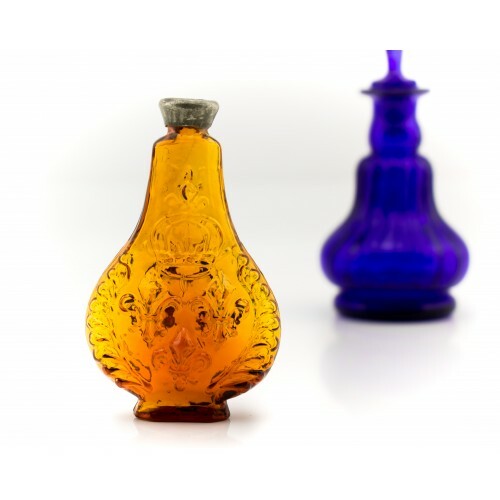 This particular bottle would have been used for perfume, holy oil, or possibly snuff. Fleur de Lys is the symbol of the House of Bourbon the dynasty that ruled France from 1589 to 1848 with the exception of the period in-between the French Revolution in 1789 and Napoleon's first downfall in 1814, and Napoleon's second reign the famous "Hundred Days" in 1815.